Saint Bernadette Soubirous was born at Lourdes, in the Pyrenees mountains, in 1844. This young girl, fragile of health, born of a very poor but pious family, at fourteen years of age witnessed eighteen apparitions of Our Blessed Lady at Lourdes, from February 11, 1858 to July 16th of the same year. She was instructed to make known the healing powers which the Blessed Virgin, by Her presence, would give to the miraculous spring of Lourdes. A worker who had lost an eye in an explosion recovered his sight when he washed his face in this water; a dying child was plunged into the small basin which had formed around the spring, and the next day began to walk. The police attempted to stop the crowds from going to the Grotto for the foretold apparitions, but were unable to do so. On March 25th, the Beautiful Lady identified Herself in response to Bernadette’s request: I am the Immaculate Conception. Bernadette was accused of having hallucinations, of spells of mental illness, of lying, but her great simplicity eventually made evident her innocence and entire sanity. Through the benevolent understanding and collaboration of the bishop of nearby Tarbes, Bishop Laurence, who later authorized the cult of Our Lady of Lourdes, a chapel and then a beautiful basilica were raised above the grotto of the apparitions, on the banks of the Gave River, now a world-famous pilgrimage site. 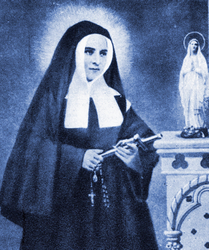 In 1866 Saint Bernadette joined the Sisters of Charity at Nevers, taking her perpetual vows in 1878. She died in 1879 at the age of 36, after long and painful sufferings which she bore very willingly, even with joy. When one of the Mothers said to her: We will pray that God may relieve your pain, she answered, No! Don’t pray for relief for me, only for patience. 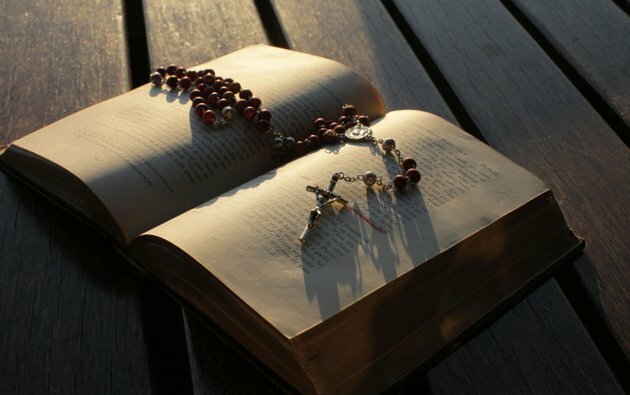 The last words she wrote in her little spiritual notebook were: The more I am crucified, the more I rejoice. She was beatified by Pope Pius XI in 1925, canonized by him in 1933. “The disciples had forgotten to bring bread, and they had only one loaf with them in the boat. When he became aware of this he said to them, “Why do you conclude that it is because you have no bread? When I broke the seven loaves for the four thousand, how many full baskets of fragments did you pick up? He said to them, “Do you still not understand?” -Mark 8:14-21.